More than 10 member states that took part in the discussion expressed their concern about the state of the rule of law, EU sources confirmed. Only Poland and Hungary are under Article 7 procedures, under which the EU can suspend certain rights of a member state that had been identified as persistently breaching the EU’s founding values. Poland’s EU affairs minister, Konrad Szymański, did not attend, telling reporters that he saw “no reason to change plans and fly in a later plane because of this matter, as Poland’s arguments are known.” Instead, Poland was presented by its EU ambassador, Andrzej Sadoś. In a statement presented during the meeting seen by EURACTIV, France and Germany again jointly expressed concerns that the effect of legislative changes introduced in Poland could undermine the independence of the judiciary that the EU believes undermines the separation of powers. “We hope that the infringement procedure launched by the European Commission last week regarding the new disciplinary regime for judges will allow some improvements, in particular regarding the right to an effective remedy before an independent and impartial court,” the Franco-German statement said. The European Commission has already opened two infringement procedures against Poland, in mid-2017 and in mid-2018, over changes to retirement provisions for Polish judges and the possible impact on their independence. Paris and Berlin said concerns over the rule of law in Poland that led to the launch of the Article 7 procedure had not been completely and properly addressed. 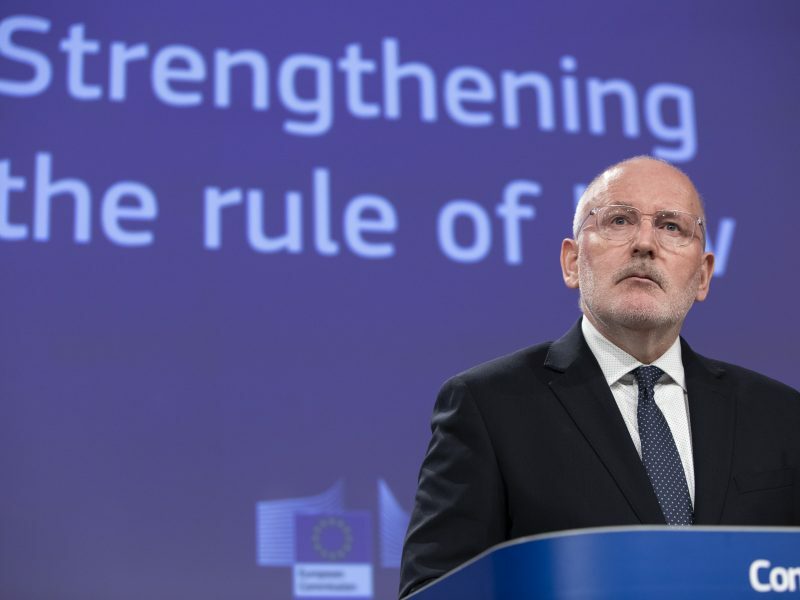 Last week, the European Commission launched a third infringement procedure against Poland over a new disciplinary system for judges, which the Commission fears is designed to scare them into sentencing in line with the wishes of the governing Law and Justice (PiS) party. Poland argues that the Commission’s infringement cases are the result of political point-scoring. “The law in question has already been changed so much that there are no charges against Poland,” foreign affairs minister Jacek Czaputowicz argued ahead of the hearing. 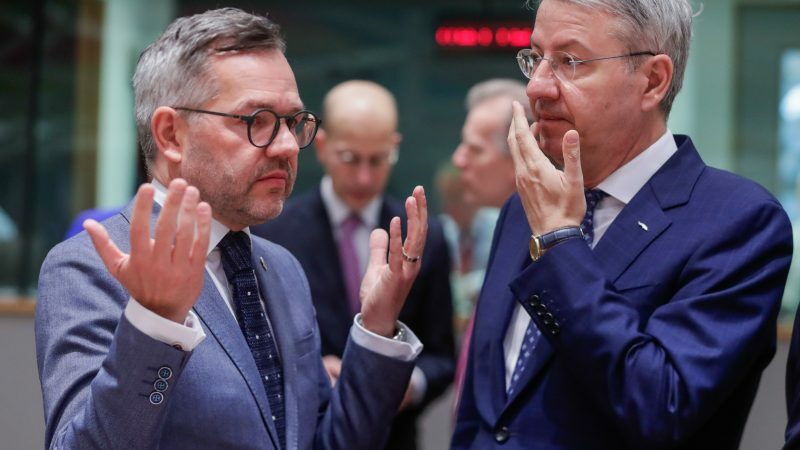 “I think the Commission and the ECJ are using this situation to strengthen their role in the European Union system, treating it as a chance to confirm their status,” he stated. For the EU side, the fact that nothing has changed as Polish authorities have not activated the corrective mechanisms, is an argument in favour of continuing discussions on this matter. “It is therefore to have a discussion about fundamental values ​​and the rule of law with the Hungarian government here in the Council,” it added. Both countries will be called to testify in a separate new hearing, EU ministers agreed. The announcement comes after MEPs stated that the European Parliament should be represented in a formal Council of Ministers’ meeting discussing Article 7 procedures concerning Hungary. Following a last-minute invitation by the Romanian Presidency for an informal exchange of views ahead of the meeting on Monday (9 April), MEPs Claude Moraes (S&D), Chair of the Parliament’s Civil Liberties Committee, and Judith Sargentini (Greens/EFA), rapporteur for the EP proposal complained about the limited involvement of EU lawmakers. “We would remind of President’s Tajani letter in which he called for the Parliament to be invited to outline its position to a full meeting of the General Affairs Council where the Article 7(1) TEU procedure concerning Hungary will be discussed and for which a reply is still outstanding,” their joint statement said. Article 7, which has been often described as the ‘nuclear option’, may end up ineffective in the next European Parliament. For Article 7 to pass, according to the EU treaty, there is a need of 66.6% of support in the Parliament. The current legislature could secure such a majority, but it is unsure if the next one will.